Where Is the Cheapest Gas in the United States? The cost of gasoline is a major budget item for most households, especially those who have long commutes to work or school. Reducing your miles on the road may not an option, so finding the lowest fuel costs is one way to save money. The cost of gasoline definitely varies across the United States. Typically, the cheapest gas across the United States is found near refineries that have access to pipelines and that have lower taxes on the gas itself. The southern and midwestern states are often lower-priced, both because of proximity to oil refineries and drilling operations and relatively low tax rates. According to the Motley Fool, Alabama, Louisiana Mississippi, South Carolina and Tennessee typically have the lowest gas prices because "they are closer to America's oil-refining center along the Gulf Coast." However, occasional natural disasters, such as floods or hurricanes, can disrupt production and cause prices to rise even in these areas. Gasoline taxes do play a significant impact in the price of oil, so not all oil-rich states have fuel prices on the low end of the spectrum. According to Motley Fool, high taxes are a key reason why "top oil-producing states like Texas and North Dakota aren't among the states with the lowest gas prices." 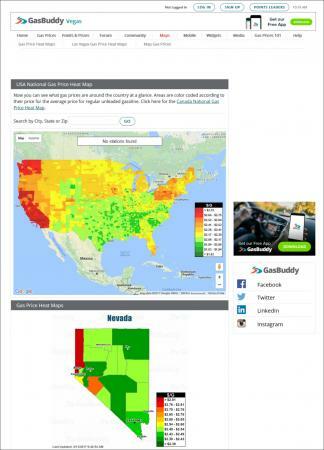 The GasBuddy website displays the current average cost of a gallon of regular unleaded gas price by state. The color-coded price map shows the states of California and Washington with the highest gas prices as of February 2017. The site also provides pricing trends by comparing data to last week, month and year. In general, gas prices are higher in big cities as compared to rural areas, regardless of state. Using the Gas Buddy Price Heat map for a display and expanding the state map of Texas, for example, reveals that the cities of Austin, San Antonio and Fort Worth typically have higher prices than outside of the city. Of course, traveling a long way to get to a state or rural area doesn't really help you save money on fuel. Instead, you'll need to look for the best gas prices in your vicinity to have an impact on your fuel budget. The cheapest gas stations within a specific area can be found by using a smart phone app that provides current pricing information. These tools provide convenient, timely information that targets your particular driving range. GasBuddy is a free app that allows you to search for the cheapest gas station by price and by distance, plus there is a search filter for brands and amenities. The app has a trip cost calculator, which is helpful if you are budgeting a road trip. It also offers a daily contest to win $100 in free gas. The user rating reviews are mostly positive but some users note that there are too many ads. The Apple version is compatible with iPhone, iPad and Apple Watch using iOS 8.0. It is available from the Apple App Store. You can download the Android version from Google Play. There is also a version available for Windows Phone. Gas Guru is a free app that searches the lowest price by fuel type and grade. It offers directions to the gas station and the time of the last price update. This is important since gas prices change often. There is a 'nearby' feature to save you drive time hunting for prices. Positive reviews cite that updates are accurate and the app is easy to use. The maps are clear and the gas station locations can also be listed by price. The Apple version through iTunes requires iOS 7.0 or later for devices such as iPhone, and iPad. The software developer has a version for Windows Phone and the Android devices. There are also a number of websites you can visit to discover the lowest fuel prices in a particular area. The GasPriceWatch.com site was started in 1999 to help consumers make the best cost decision while holding no affiliations with gas companies or advertisers. It offers gas price information by entering city or zip code or gas station. The results are sorted by type of fuel such as regular, mid-grade, premium and diesel. The data is provided by volunteer spotters who give input to keep the most updated price information. Spotters can earn rewards for providing information. The website also provides information on gas price trends and crude oil prices, as well as federal excise tax on gasoline and diesel. The AAA website has several helpful features designed for road travelers by monitoring the cost of gas at over 100,000 stations across the United States. The AAA gas feature offers a look at the average gas prices by state (updated daily), gas price trends and historical data. It also has a gas cost calculator for travelers using the input of driving distance and vehicle make and model. In addition, the site includes tips for saving on fuel and extending the life of your vehicle. GasBuddy.com is a popular website (as well as an app described above) for gas prices. The site has topical information about the fuel industry and is used by consumers and analysts. You can select your state and zip code or city to find the cheapest gas available. Historical price information is available to track price fluctuations over time. You can use the site to compare gas prices across the country. In addition to finding the cheapest fuel in your area, there are other ways to save gas and spend less on the fuel you purchase. From using fuel-saving products and strategies to driving a fuel efficient car that gets the best gas mileage, there are plenty of steps you can take to reduce the amount of gas you use on an ongoing basis. A number of major fuel companies offer gas credit cards featuring reward programs and discounts. Using this type of card may provide fuel credits or rebates that will make it worthwhile to maintain brand loyalty. For example, the Shell Drive for Five rebate program offers 5 cents back for each gallon purchased. 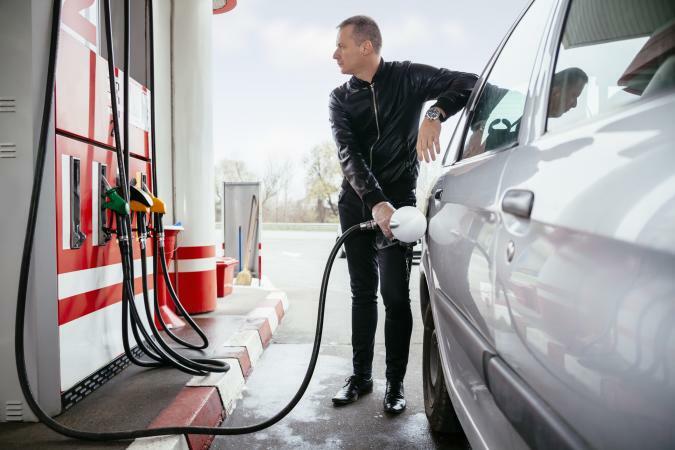 You can also find fuel reward programs that are affiliated with grocery store chains such as Winn Dixie, Lucky's, Safeway, Kroger and Harvey's Supermarket. By linking your store reward card to the program, you get a discount on gasoline based on your purchases. For example, the Winn-Dixie SE Grocers Rewards gives you a discount on fuel and groceries. As we look to future technology and improved automobile design, the dependence on gasoline may be reduced in the years to come. In the meantime, use these resources and information to make the best purchase decision for your gas budget.